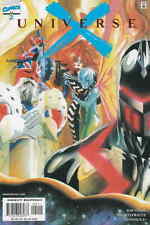 UNIVERSE X #2 ALEX ROSS COVER MARVEL 2000 NICE!!! Universe X # 1-12 + X & 0 (2000) Marvel Comics! New ListingUniverse X Special Edition (Marvel Comics/Wizard, 2000) Alex Ross RARE! UNIVERSE X #0 ALEX ROSS COVER MARVEL 2000 NICE!!! 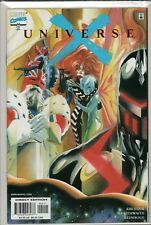 Universe X Spidey #1 (2001) VERY RARE SLANDER RECALLED EDITION SIGNED 2X !!! This page was last updated: 21-Apr 23:39. Number of bids and bid amounts may be slightly out of date. See each listing for international shipping options and costs.